Index investors often buy the S&P 500. Active investors should avoid these 10 components. The strategy of index investing continues to gain steam in the equity markets. Instead of picking individual stocks, many analysts and advisors recommend buying entire indices through ETFs like the SPDR S&P 500 ETF Trust (NYSEARCA:SPY). Choosing the lower fees in index funds, and a mixed track record among active-investing mutual funds, in theory, should benefit investor returns. There is some logic to so-called passive investing, for some investors. But one of the obvious drawbacks in indexing is that indices are blind. An investor buying SPY shares gets all 500 of the index’s companies — even if he or she might not want them all. That can be a problem, because even in an index as broad and well-known as the S&P 500, there are stocks to avoid — or even stocks to sell. Indeed, here are 10 S&P 500 components which look expensive — and which both passive and active investors should avoid. I’ve said it before, and I’ll say it again. The Coca-Cola Co (NYSE:KO) stock is overvalued. It’s true that Coca-Cola’s fundamentals have been impacted by divestitures of its bottling business, and to a lesser extent the strong dollar. But even excluding those effects, this is a company showing barely any growth. Organic revenue growth was 3% in the second quarter, and roughly the same in 2016. In both periods, volumes were essentially flat. Meanwhile, soda taxes are being enacted — not just in the U.S. but worldwide. Coca-Cola has struggled to gain share in areas like bottled or sparkling water. Diet Coke sales are tumbling, and Coke Zero Sugar doesn’t look like the answer. Unlike rival PepsiCo, Inc. (NYSE:PEP), which owns Frito-Lay, Coca-Cola doesn’t have a non-beverage operation to rely on, either. As a result, KO stock has badly underperformed both PEP and the broad markets. And I don’t expect that to change going forward. KO still trades at about 23x 2017 EPS guidance — despite that guidance suggesting a year-over-year decline in profits. As a point of reference, Facebook Inc (NASDAQ:FB) trades at about the same multiple, with much more impressive growth. KO has had a reputation as a safe, defensive stock for decades. But the world is changing — and it’s leaving Coca-Cola behind. Signet Jewelers Ltd. (NYSE:SIG) might seem an odd choice for this list, given that SIG stock doesn’t look expensive — at all. SIG trades for barely 9x fiscal 2018 (ending January) EPS estimates — one of the lowest multiples in the entire S&P 500. That doesn’t change the fact that SIG is expensive, however — and likely too expensive. The company’s credit book continues to weaken, creating huge downside risk. Foot traffic for the company’s Kay and Jared banners continues to decline amid lower mall visitation. Former and current employees have accused the company of tolerating sexual harassment. So while SIG may look like one of the cheapest stocks in the index, it’s also the most-shorted S&P 500 constituent. And with plenty of reasons. Even its position in the index provides a risk to the stock. Its market cap is among the ten lowest in the S&P 500 — which puts SIG at risk of being moved out of the S&P 500. 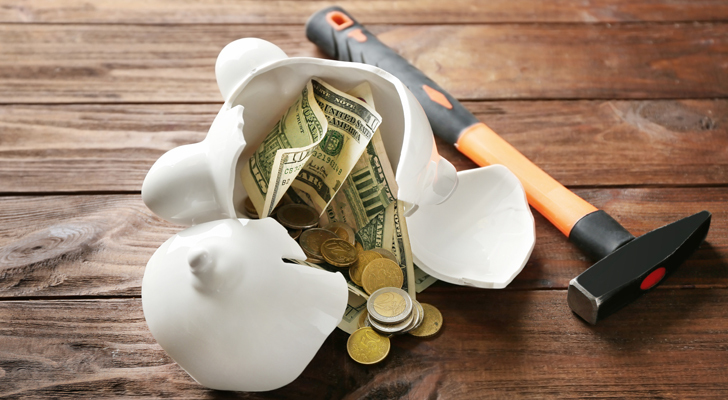 Specialty retailers GameStop Corp. (NYSE:GME), Urban Outfitters, Inc. (NASDAQ:URBN), and Bed Bath & Beyond Inc. (NASDAQ:BBBY) have suffered a similar fate over the past 18 months. SIG’s exit alone would knock the stock down, given the importance of SPY index demand. And that’s the least of the risks facing what remains a very dangerous stock. I like Cooper Companies Inc (NYSE:COO) as a company. As a stock, perhaps not so much. The contact lens manufacturer has had an impressive few years. 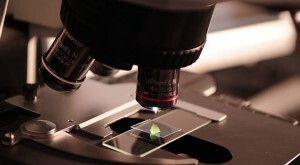 It has taken share from its three big rivals: market leader Johnson & Johnson (NYSE:JNJ), Novartis AG (ADR) (NYSE:NVS) unit Alcon, and Valeant Pharmaceuticals Intl Inc (NYSE:VRX) subsidiary Bausch + Lomb. Earnings have grown double-digits as a result, with FY2017 (ending October) EPS expected up about 15% year-over-year. But COO’s valuation has soared as well, with the stock trading at almost 22x FY17 EPS. And that multiple may need to come down. Both B+L and Alcon are trying to turn around their businesses — or may be sold, allowing new management to improve their competitive position. The smaller CooperSurgical segment hasn’t delivered on its potential yet. The end of the UPP pricing scheme may increase competition in the U.S. — and pressure both pricing and margins. Again, there is a lot to like here, and Cooper has done a fine job over the past few years, in particular. But the valuation of COO stock seems to have gotten ahead of Cooper’s performance as a company. Monster Beverage Corporation (NASDAQ:MNST) makes this list as well, albeit for different reasons than Coca-Cola — who owns about 18% of MNST. Monster, at least, still is growing, with net sales rising almost 10% in the second quarter. And potential penetration into fountain drinks promises an expansion off the company’s core base in convenience store sales. But it’s hard not to wonder if even that growth is priced into MNST stock. MNST trades at 32x next year’s analyst estimate EPS. It’s a valuation that assumes current growth trends will continue for years to come. And with competition in the space intense, and energy drinks themselves at some point likely to face the same challenges as soda (sugar taxes, health concerns, etc. ), that might be too aggressive. The 10 Best Stocks for 2017 Contest — The Experts Pull Into the Homestretch! Monster Beverage very well may grow into its current valuation. But, at the least, MNST remains one of the few pure “growth stocks” in the S&P 500, which traditionally is composed of more mature — and lower-growth — companies. 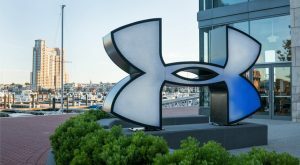 Under Armour Inc (NYSE:UAA, NYSE:UA) is another S&P 500 component priced for growth. Even with the stock just off a four-year low, UAA still trades at 38x 2018 EPS estimates. The problem for UAA stock is that it’s a growth stock — with little in the way of growth. Sales increased less than 8% year-over-year in the first half. Profits have fallen — and should continue to decline. Under Armour is guiding for full-year earnings per share, on an adjusted basis, of just 37 cents to 40 cents. That’s not only a decline year-over-year — it’s lower than 2013 levels. In response, Under Armour is undergoing a restructuring, and attempting to turn around its business. But as I argued in July, it’s priced like a growth stock — not a turnaround play. Even with UAA stock 20% cheaper, that’s still the case. And that problem should persist, with UAA stock likely having further to fall. Even an investor bullish on Netflix, Inc. (NASDAQ:NFLX) would admit that NFLX stock is expensive. The question here is whether it’s too expensive – or not expensive enough. From here, NFLX stock simply has too many risks to support the current valuation. Netflix unquestionably has become a dominant player, if not the dominant player, in the cord-cutting world. But there are real concerns here. Rivals Hulu and Amazon.com, Inc. (NASDAQ:AMZN) are pushing their own services. Legacy content companies are creating their own streaming services. CBS Corporation (NYSE:CBS) has rolled out CBS All Access. 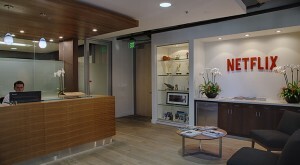 Walt Disney Co (NYSE:DIS) is pulling its content from Netflix, and looking to go it alone. Netflix has its own content, of course – but that alone simply isn’t enough to support the current valuation. Bear in mind that Netflix on an enterprise basis now is valued at roughly the same price AT&T Inc. (NYSE:T) is paying for Time Warner Inc (NYSE:TWX). A Netflix platform based largely on owned — and expensive – content simply isn’t enough to keep that valuation. Netflix has multiple opportunities, most notably overseas. But the current price suggests Netflix will retain its streaming dominance. And I’m far from convinced that will indeed be the case. Activision Blizzard, Inc. (NASDAQ:ATVI) has been the fifth-best performer in the S&P 500 index in 2017, rising over 74%. But it sure looks like the run has gone too far, too fast. On one hand, ATVI is performing well — and it has room for growth ahead of it. It’s a leader in esports, which is growing in popularity and generating increasing amounts of revenue. In-game content sales are rising; so are higher-margin digital downloads. On the other hand, however, much of Activision Blizzard’s revenue base is coming from low-growth or even declining franchises. 69% of 2016 revenue came from World of Warcraft, Call of Duty, Candy Crush and Overwatch. Call of Duty revenue declined in 2016, and in the first half of this year. The WoW subscriber base has eroded for years. Candy Crush weakness was why Activision was able to acquire King Digital on the cheap (~6x EBITDA) last year. There’s good news here — but not enough to support nearly 80% gains in some nine months, or a 33x multiple to 2017 non-GAAP EPS guidance. ATVI will grow — but I’m skeptical it will grow enough to support a share price over $63. To be sure, Red Hat Inc (NYSE:RHT) might be expensive, but for very good reasons. 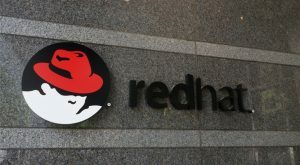 Red Hat has pivoted away from its previous reliance on open-source platform Linux to become a player in cloud. That strategic move has kept revenue and profits growing, including an impressive Q2 last week that sent RHT to an all-time high. The question, though, is valuation. Like ATVI, RHT has had a torrid 2017, gaining almost 65% year-to-date. As a result, the stock now trades at 34x FY19 consensus EPS estimates. A couple more years of double-digit EPS growth might support that valuation — and some upside. But investors need to be absolutely certain in the RHT story, and in the cloud space as a whole, to enter the stock at these levels. TripAdvisor Inc (NASDAQ:TRIP) is a bit of an odd situation. 21% of the shares — and 57% of the voting power — is held by John Malone vehicle Liberty TripAdvisor Holdings Inc (NASDAQ:LTRPA), which muddies the situation a little bit. But what is clear is that TRIP is expensive — and likely overvalued. Around 20% of the float is sold short, although it’s worth remembering that some of those shorts may be pairs trades, hedged by a long LTRPA position. Regardless, at 36x EPS, TRIP is priced as a growth stock. Yet growth has been choppy, at best. Adjusted EBITDA declined 24% in 2016, and another 3% in the first half of 2017. The core hotel business is seeing stagnant sales; investments elsewhere are depressing margins. The non-hotel business, which generated 20% of first-half revenue, is showing impressive growth. But with competition everywhere from privately held AirBnB to Priceline Group Inc (NASDAQ:PCLN) and Orbitz Worldwide, Inc. (NYSE:OWW), that growth may slow. Overall, TRIP looks like a stock being elevated by optimism toward its industry — and perhaps buying of index funds, including SPY, that hold the stock. But it doesn’t look like a company that’s performing all that well, or really taking market share. With a premium valuation, and choppy growth, TRIP’s short sellers may indeed get paid off. Verisign, Inc. (NASDAQ:VRSN) is another S&P 500 constituent that has burned shorts in 2017. VRSN shares are up almost 40% YTD, while its short interest remains above 14%. VRSN shorts seem to have a good case. 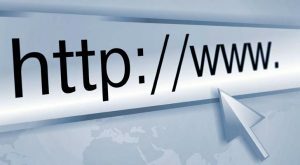 The company has had to cut prices amid the expansion of GLTDs (generic top level domains). Profit growth has stalled out; while EPS continues to rise, the increases are coming mostly from share buybacks and lower taxes. Trailing-12-month Adjusted EBITDA was up less than 6% year-over-year after Q2, yet VRSN stock still trades at a hefty 13x EV/EBITDA multiple and about 25x earnings. To be fair, VRSN’s valuation has been questioned for some time. The stock has been heavily shorted since late 2013 — but has climbed a “wall of worry” regardless. But with shorts on the attack, analyst targets below the current price, and earnings growth weak, 25x earnings still seems like far too much. 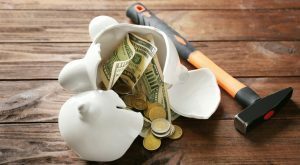 Article printed from InvestorPlace Media, https://investorplace.com/2017/10/10-most-expensive-stocks-to-buy-sp-500/.